RELEASE THE KRAKEN!!!! okay, okay, we got that joke out of the way. It’s done. 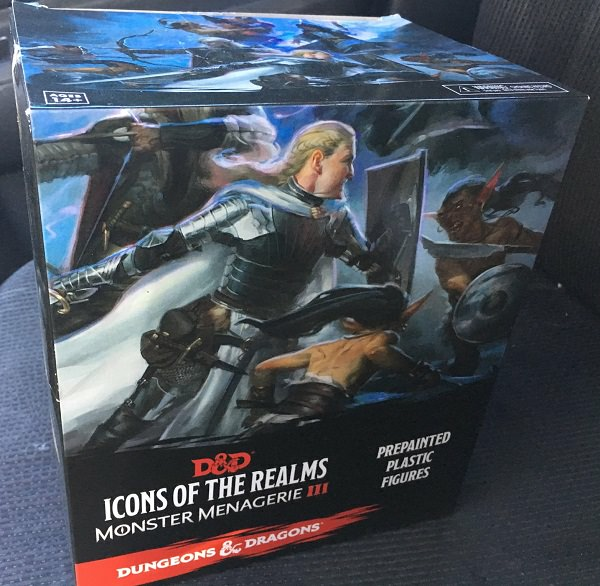 Anyway, every set of Dungeons & Dragons or Pathfinder miniatures comes with a “Case incentive” – a $50 bonus, usually as a big figure or a terrain/dungeon set. The newest D&D set, Monster Menagerie 3, goes the giant monstrosity route! 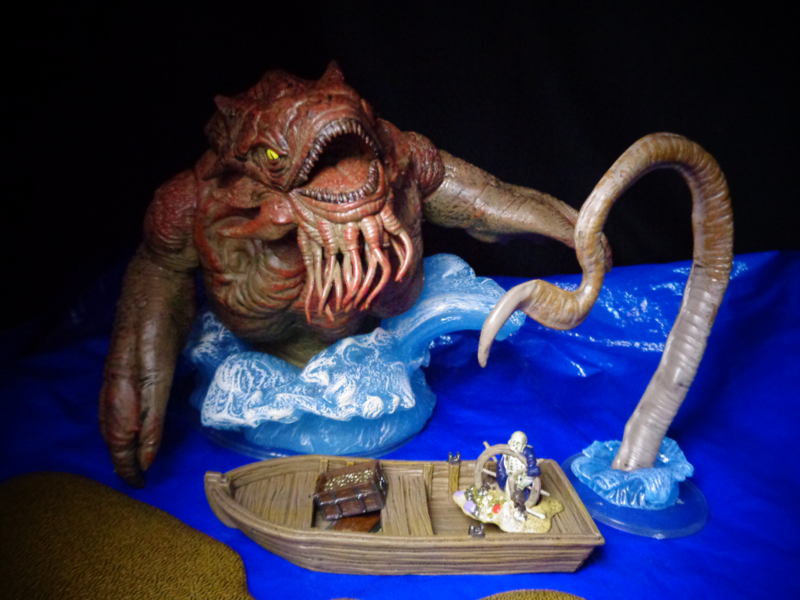 And man, when I say giant… the Kraken as a D&D monster has always kind of varied between editions. 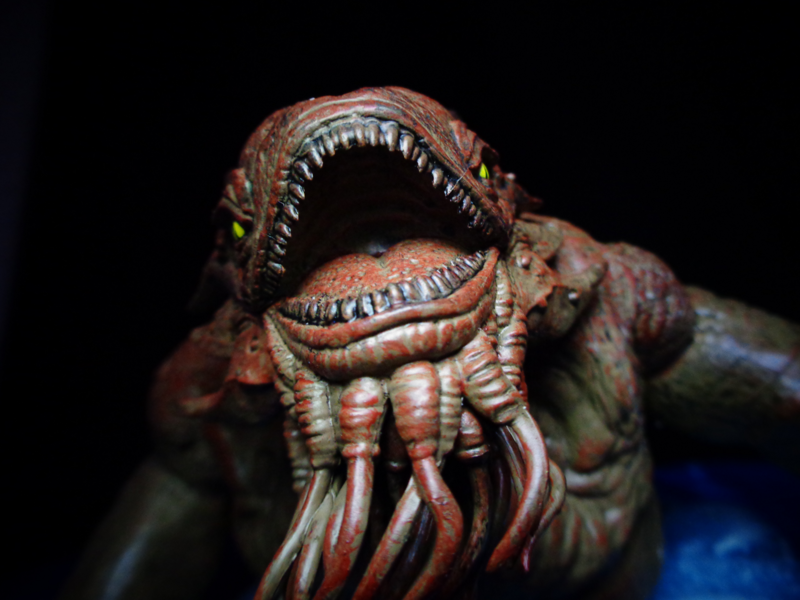 usually, it’s a giant squid, or a species of squids, but 5th edition decided to play up the “monster” angle a little more by adding a minor Clash of the Titans vibe. 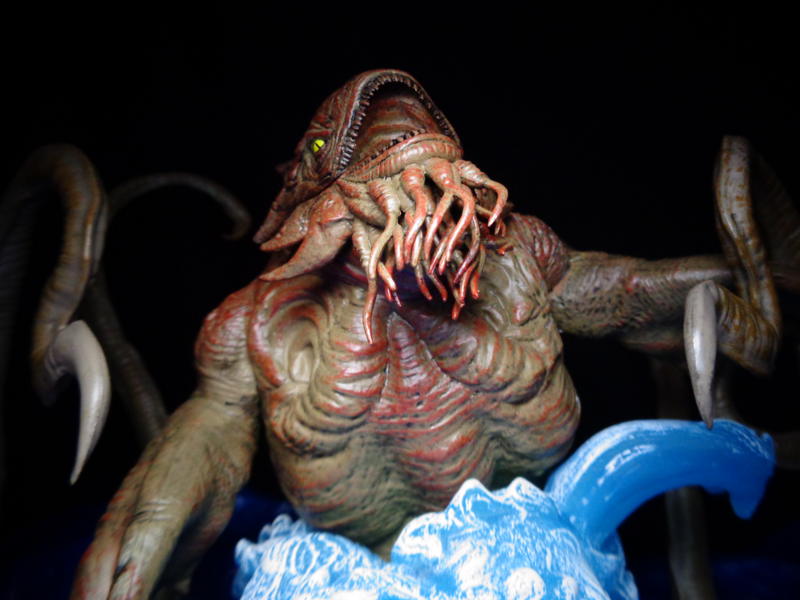 The current Kraken is a half-squid, half-kaiju monstrosity with entire cults dedicated to worshiping it. A Kraken can wreck ships, fire lightning bolts, and lash out with up to ten tentacles (so just ten-tacles, amirite?). 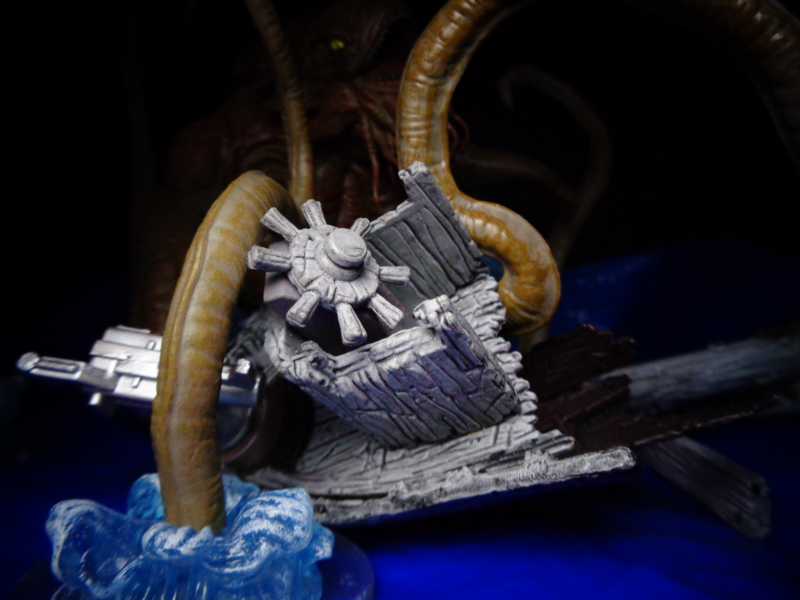 The incentive figure is, unfortunately, not a Kraken’s full body – just the portion that you’d see sticking out of the water if you were on a ship, likely for budgetry/size reasons. Although if you fight one in the water or in its lair, your party would likely have to deal with its whole body, this is good enough for your average ship combat situation. It’s gigantic. The box does include a small picture of what you’re getting, though the art is otherwise oddly unrelated. That elf dude has nothing to do with Monster Menagerie 3. The set comes with one Kraken, six tentacles (three different shapes, two of each), two islands, one rowboat with oars, one treasure chest with removable lid, and one piece of pirate treasure. it’s a little eclectic, but you can’t expect a full pirate ship or anything. If you need one, there are plenty of cheap in-scale ships sold by something like Chap Mei, and they are planning an official D&D one – Ship Falling Star. Anyway, let’s take a look at the accessories first, and then once they’re out of the way, we’ve got the big guy! The sand bar islands are the blandest part of the set, but also really useful for this game. 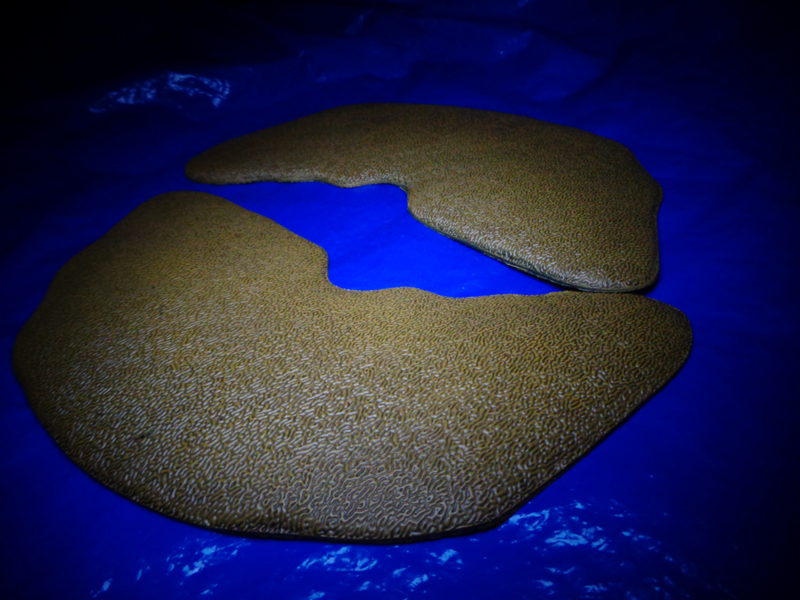 I’m spoiled because I have some generic “sand” terrain from other sources, but these do serve a nicely practical use. 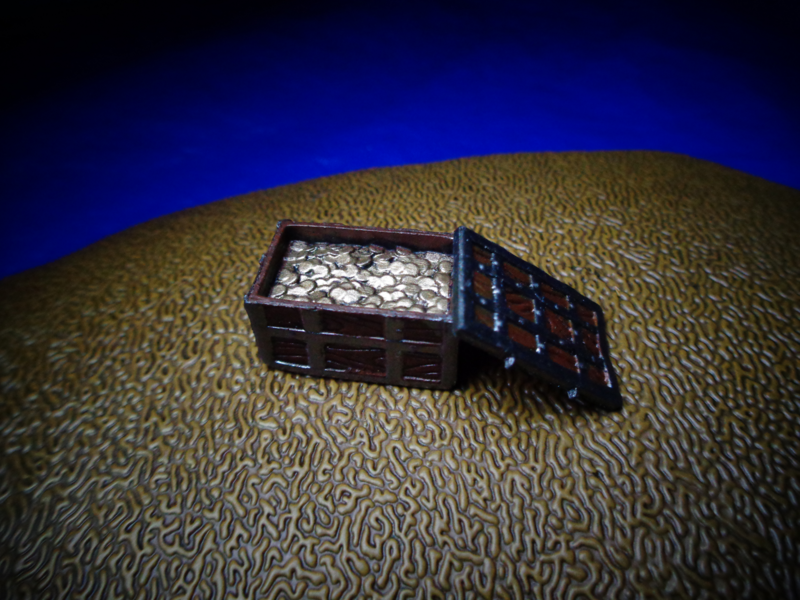 The treasure chest is tiny, detailed, and has a removable lid! It’s shaped differently than some other chest minis, but that’s about it. The pirate treasure reminds me of the kind of accessory you would see in a Mighty Max set. The rowboat has actual oars! 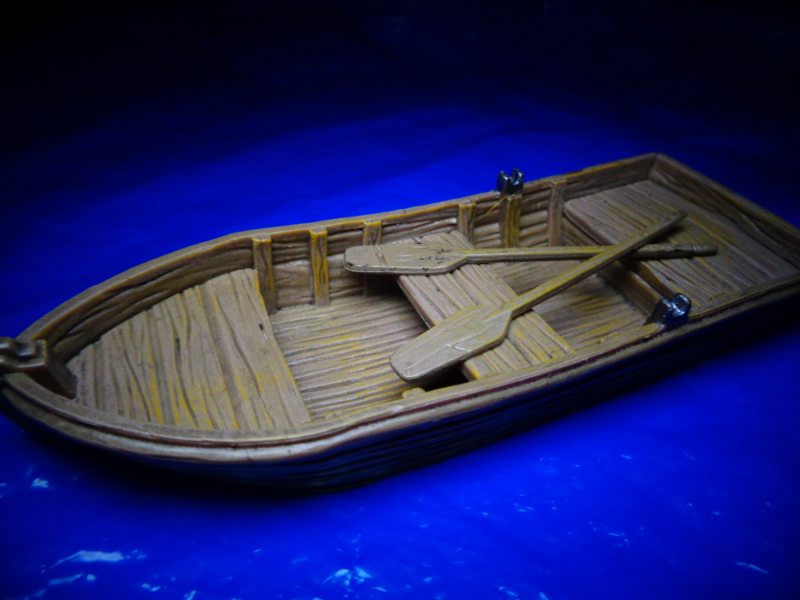 It’s also got room to fit medium-sized minis, though their bases are almost too large for the boat’s foot well. This guy is a Kraken Priest. 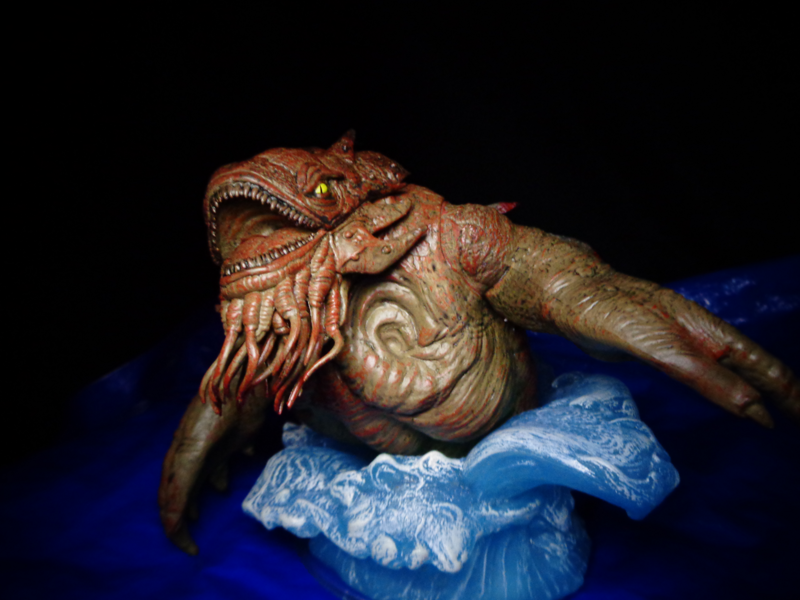 He’s part of the Monster Menagerie 3 set, though he doesn’t come with the Kraken. Hilariously, his base is mis-labeled “Tridrone,” which is another monster, entirely. 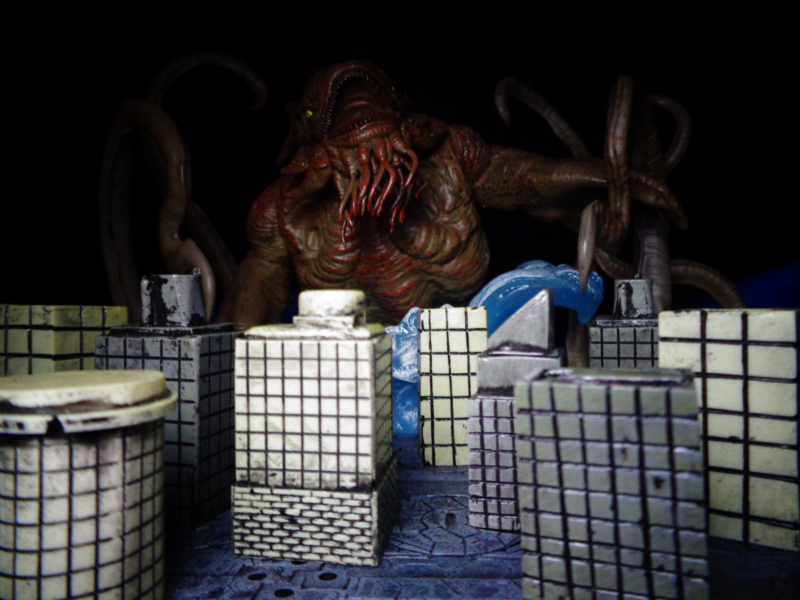 He also shows the scale of this set decently – remember that medium-sized minis are about an inch tall or so. 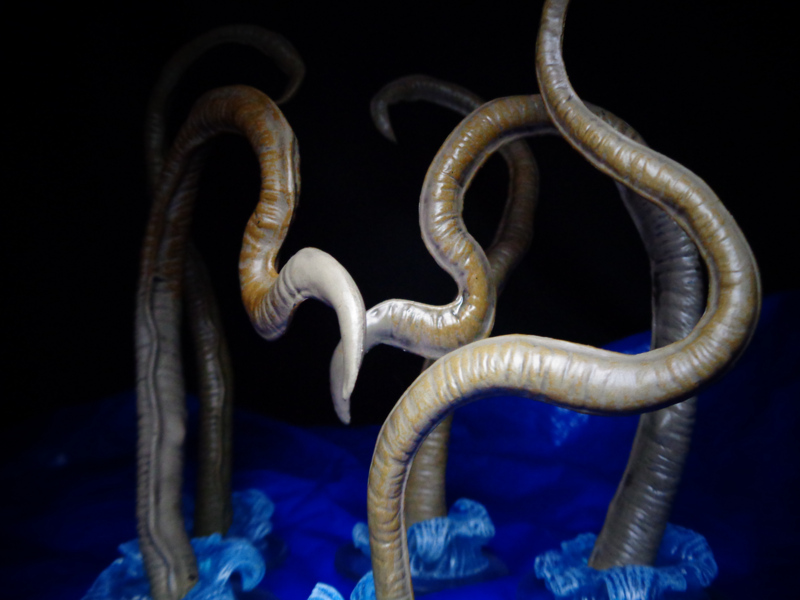 As previously mentioned six out of the Kraken’s ten tentacles are represented. Three styles, two of each. One of mine was broken in the package, and the type of plastic does not respond well to superglue. I’ve looked around, and this does not seem to be a common issue – I just got unlucky. But do be careful with them, because repairs are suspiciously difficult! Anyway, that’s why you see five tentacles in the Kraken’s pictures. The Kraken is big. Big enough to be hollow, but still feel solid. 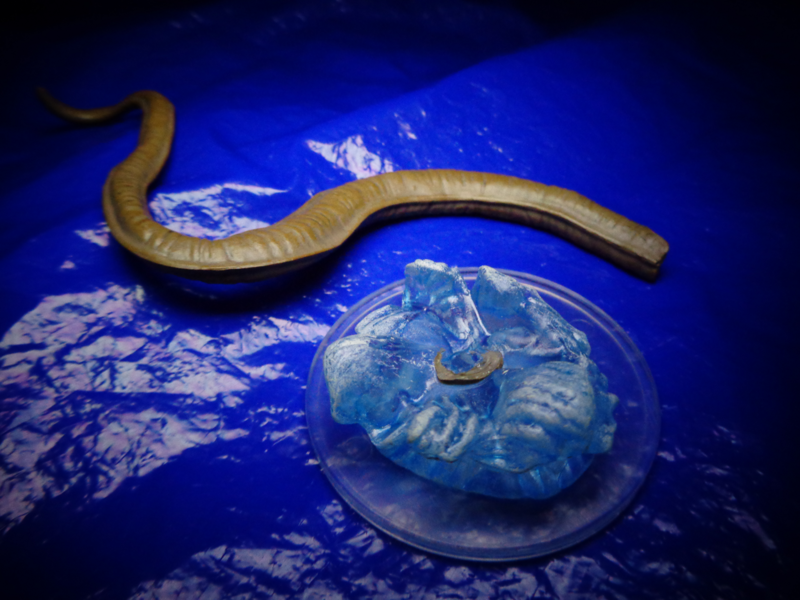 Seriously, this is a gigantic chunk of plastic. 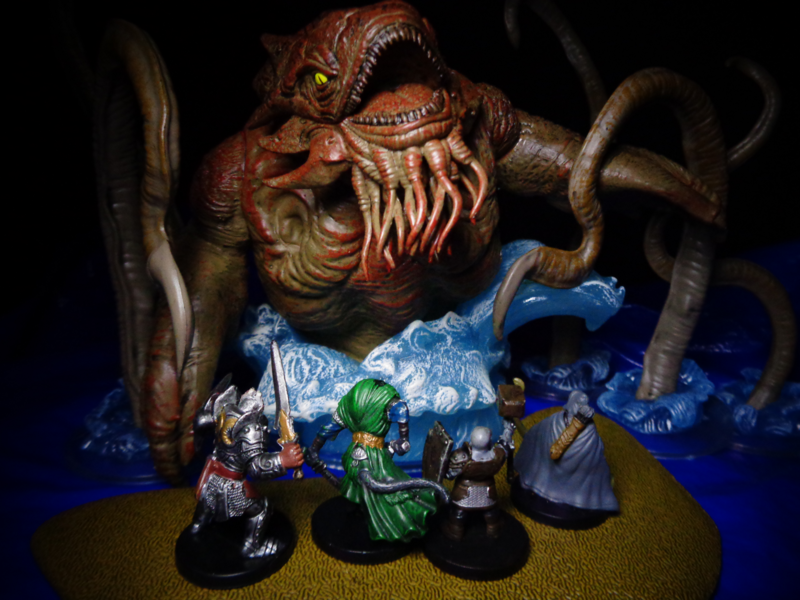 Great water effect, too – s a note, D&D’s size categories no longer go above “Gargantuan,” but that’s pretty fluidly defined, so you can have your Kraken take up however much space on the map it needs. 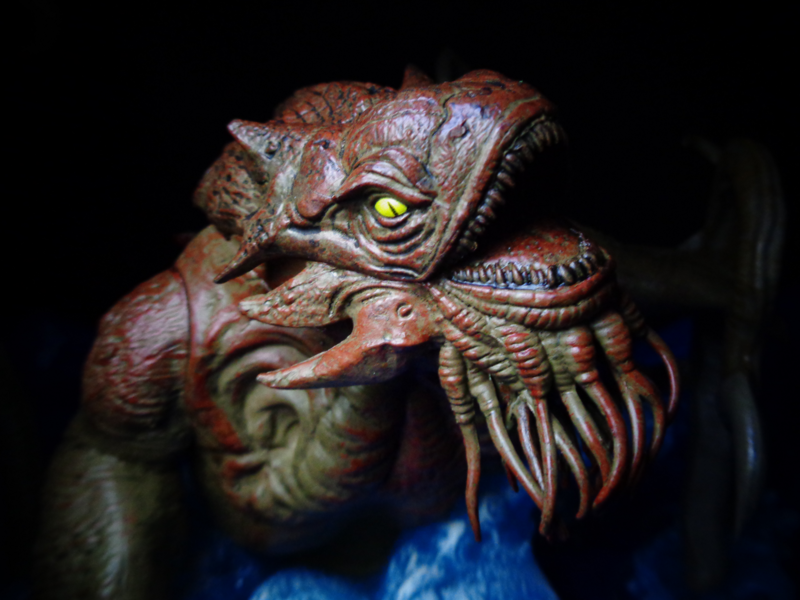 The paint job is surprisingly complex = the Kraken’s skin has several layers of color going on, giving it a genuinely organic appearance. 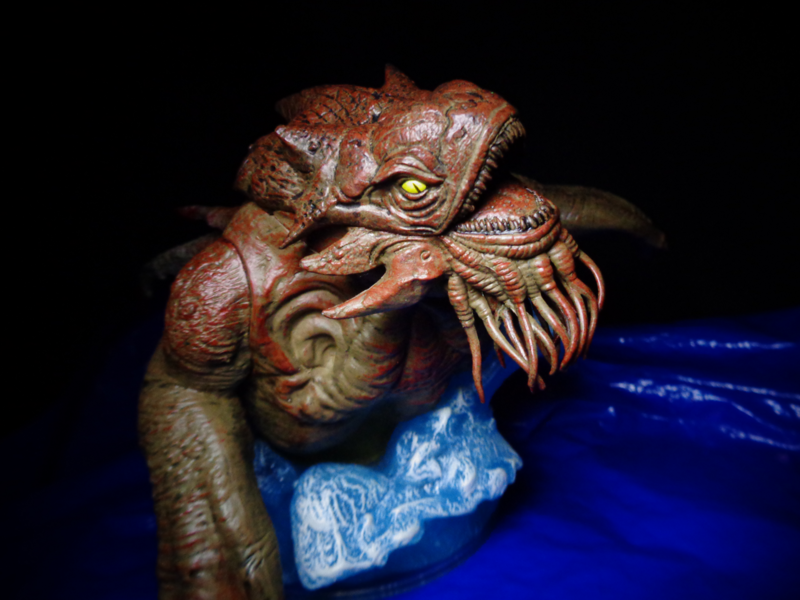 Its eyes are likewise cleanly applied, and stand out even when the rest of the figure blends into a dark background. It’s got a surprising amount of personality on that “I eat cruise liners” face. Seriously, look at that face. Its back has some random crustacean spikes for whatever reason. 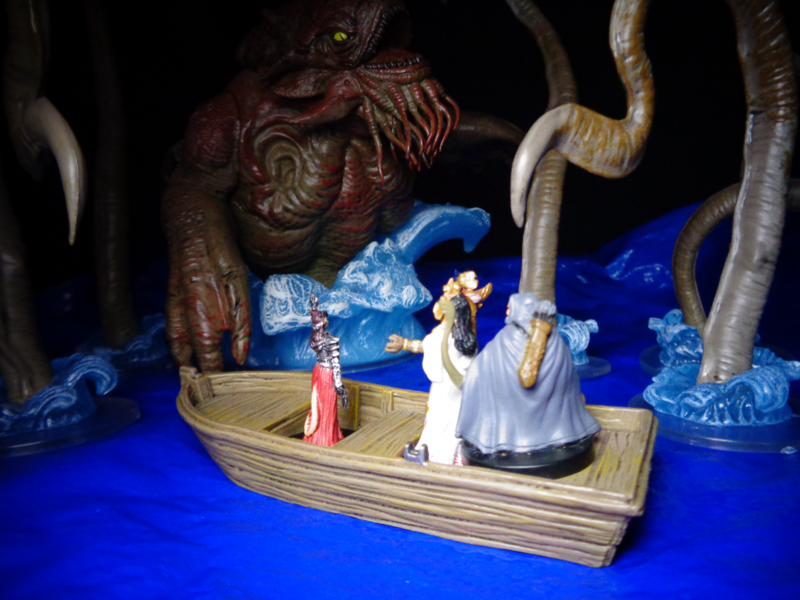 Size-wise, the Kraken appropriately dwarfs a party. 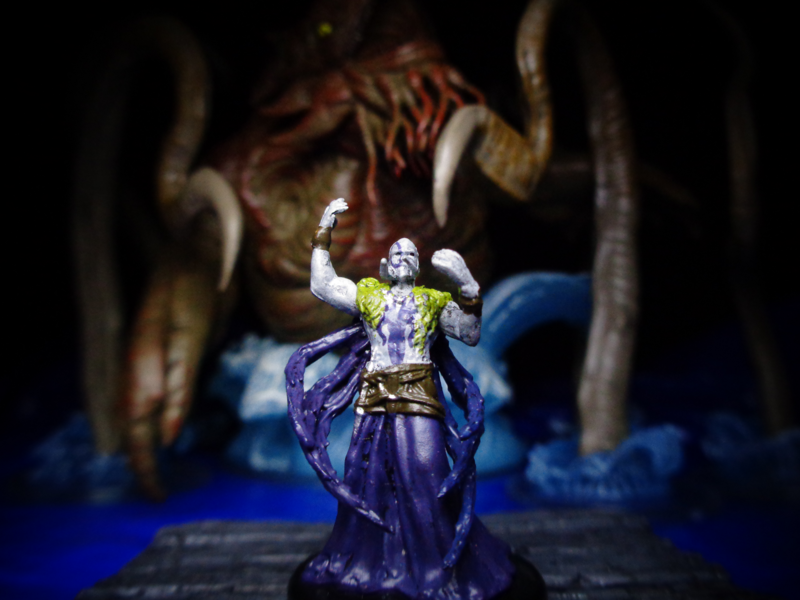 One thing about RPG minis is how they help impart a sense of scale that might be missing from monster artwork. And a sense of dread. Don’t forget that sense of dread. This especially applies to giant-sized miniatures. It’s easy to forget the type of overwhelming size you’d feel when facing something like this, isn’t it? 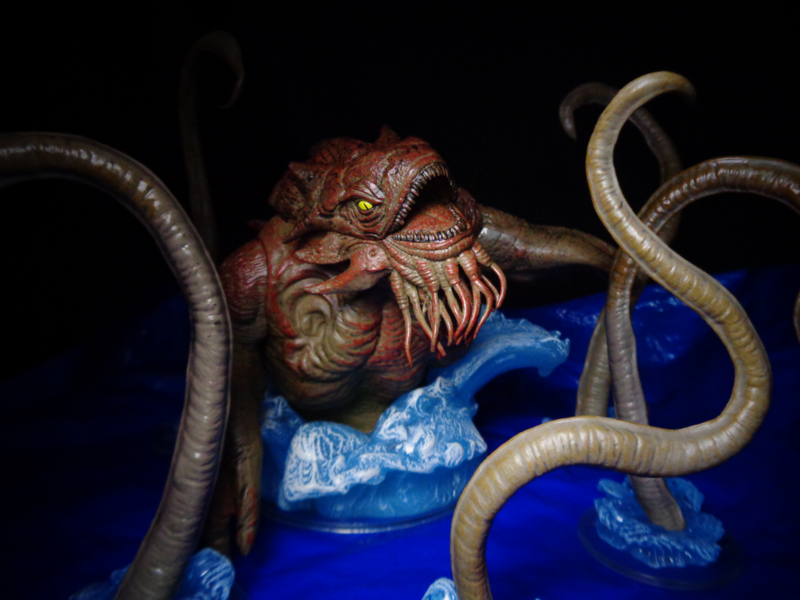 There are no stats for the tentacles – they are used for attacks, not treated like individual monsters. But having them present as separate figures lets you do things like this! Well, there you go! The Kraken has a few issues – it’s not full-body, the treasure is kind of lackluster, and one of my tentacles was broken (though I haven’t heard of that being common), but it’s an extremely cool-looking and rather unique set. 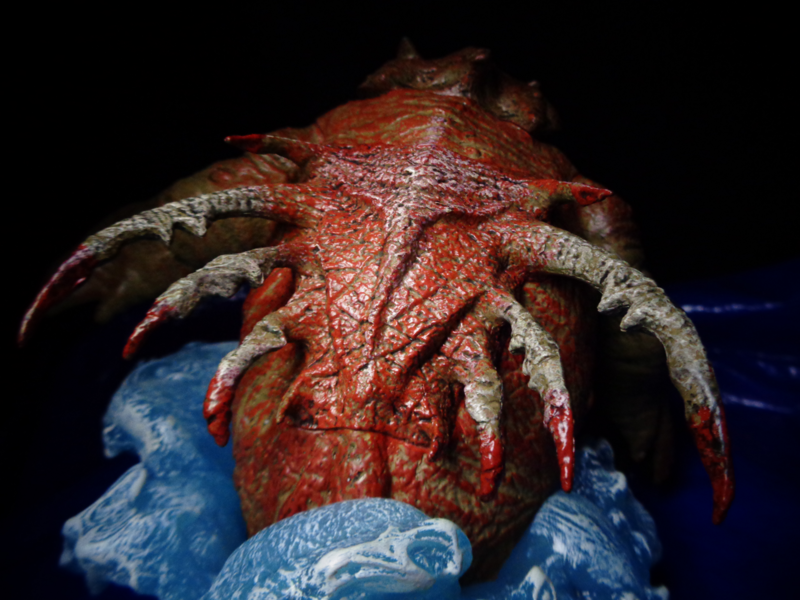 Krakens in general should be treated like major events – sort of an aquatic Tarrasque. 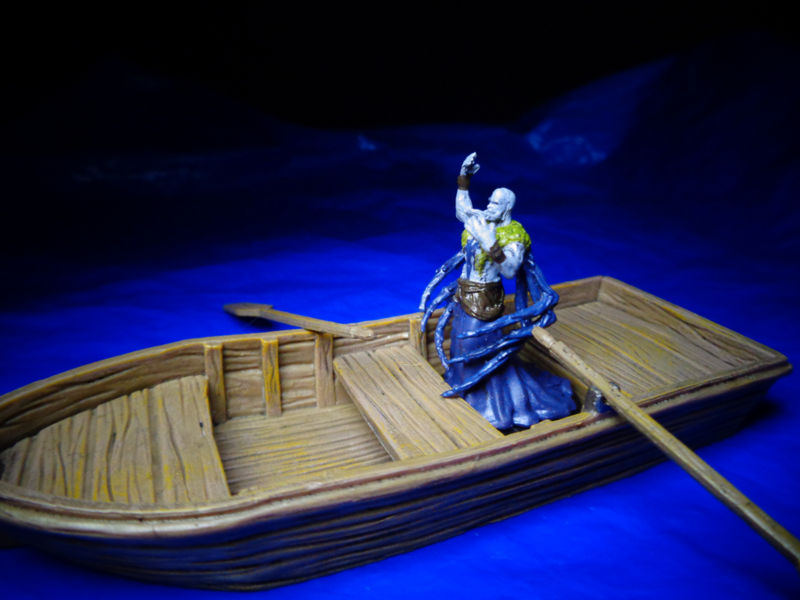 This figure helps impart that attitude, and if you do use minis in your game, you can use it to really great effect. So iIf you like what you see, then go for it! Pirate treasure is like some aquarium accessory. And why are those aquarium thingies so overpriced? No suckers on tentacles? Squid tentacles are brutal because they have barbs on their suckers.